Once again the Austrian arbitration community was proud to host the Vis Moot in Vienna. More than 330 teams from all over the world applied the Vienna Rules in this year’s Problem. The moot week started with the Bergsten Lecture held on Sunday 20 March 2016. This year the lecture dedicated to Prof. Eric Bergsten was given by Franz T. Schwarz (Wilmer Cutler Pickering Hale and Dorr LLP, London). Franz delivered an outstanding lecure on “Systematic Case Management and the Burden of Proof: Taking Evidence Across Cultural Divides”. For the first time the lecture was video-recorded and can be accessed under https://wilmerhale.wistia.com/medias/xzoo7jlyhf. The lecture was followed by a panel discussion chaired by Professor Paul Oberhammer (Faculty of Law, Vienna) with Professor István Varga (Faculty of Law, Budapest) and Gerold Zeiler (zeiler.partners, Vienna) as panellists. The lecture and the followed cocktail reception at the Sky Lounge jointly hosted by Arb|Aut and VIAC were a huge success. More than 150 participants from numerous jurisdictions attended. In our new photo gallery you will find photos from the lecture and the cocktail. A written version of the lecture will be published in the Austrian Yearbook on International Arbitration 2017. Arb|Aut thanks all participants to the Vis Moot and congratulates the winning team from the University of Buenos Aires. Just in time with the moot week Arb|Aut launched its new website www.arbitration-austria.at. The core part of the new website is our member list which contains a state of the art search tool. Arb|Aut members can create a personal profile containing their contact details, photograph and additional information. We will send to each member the personal login details which will permit you to update and supplement your member details. The distribution of the login details to all our members may take a couple of days. Please do not hesitate to get in touch with us if you have not received your login details by mid of April. We believe that this tool will help the arbitration community to find qualified counsel and arbitrators and our members to become even more visible. In addition we refreshed the design, improved the user-friendliness of the navigation and included a list of events organised by or related to Arb|Aut as well as a photo gallery. We will continue to work on the website and hope to be able to expand the parts on arbitration in Austria soon. On 31 May 2016 Arb|Aut and the University of Vienna invite you to the first Arb|Aut forum. The details will follow in a separate newsletter. On 30 September 2016 LIS, ASA and Arb|Aut hold the fourth joint Dreiländer-Konferenz in Liechtenstein. 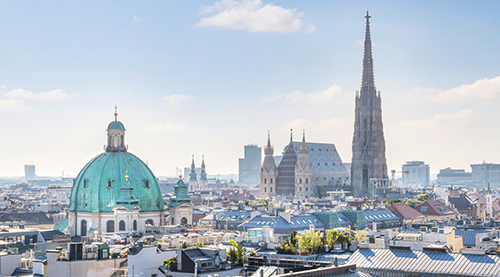 The Vienna Arbitration Days 2017 will take place on 24 and 25 February 2017.